Drawn from the Art Museum’s permanent collection, Places and Spaces features artwork by American artists produced under the Works Progress Administration (WPA), one of the signature relief programs of President Franklin D. Roosevelt’s New Deal. 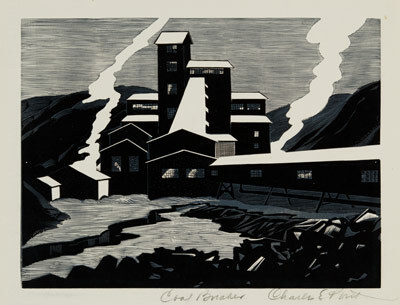 From 1935 to 1939, the WPA’s Federal Project Number One put artists to work documenting the American experience. The WPA was a work relief program but it also embraced broad cultural goals: to bolster achievement in the fine arts and to promote a “cultural democracy” in which art existed for and about the people. Across the country, in cities and small towns alike, government-funded artists embraced this public mandate, focusing their attention on ordinary people and everyday life. They celebrated the country’s rich past while also acknowledging the hardships Americans faced during the Great Depression. Rather than highlighting the mansions of the rich and famous, artists under the WPA chose scenes that were familiar to working and unemployed people: quiet streets, residential neighborhoods, factories, parks, industrial landscapes and farms. 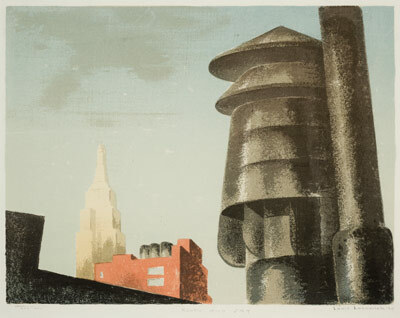 The democratizing impulse of the WPA also resulted in a revival of printmaking in the United States, a medium many artists considered to be more democratic than painting or sculpture because it allowed their work to be reproduced and thereby appreciated by greater numbers of people. Federal support for the arts during the Great Depression gave artists the impetus and the resources to create these diverse images of places and spaces that together present a multi-faceted portrait of everyday America.